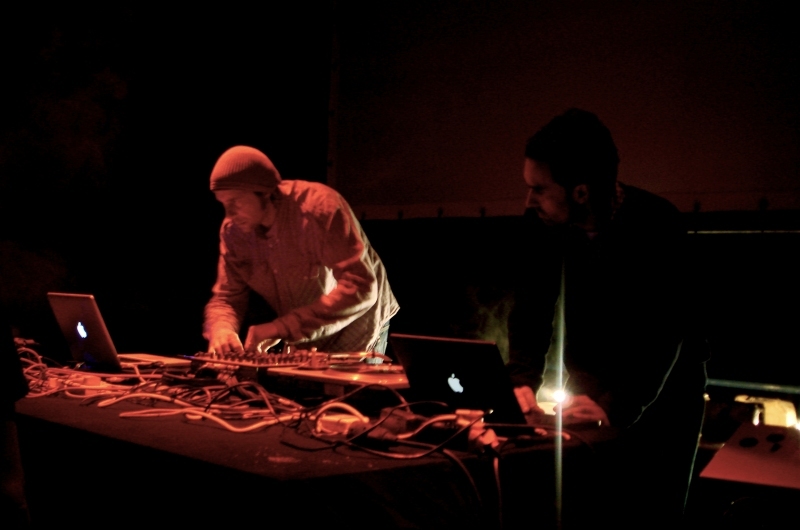 For a duo that as individuals are based in both London and Berlin, opportunities to witness the fantastic live experience of Demdike Stare are an amazing rare treat. Their sound is a vast melting pot of genres and influences that range from the transient meanderings of psyche-rock to the dark wave mixes of hypnotic trance, occasional forays into unchartered dubstep territory to the haunting interludes of analogue waveforms and soundscapes. And if all of that isn't enough, they have both the tenacity and skill to often include live remixes during their sets for your additional aural enjoyment. A name some may be all too familiar with - a founding and longtime member of Vibracathedral Orchestra and also one half of the collaboration that is Flower / Corsano Duo that features Chris Corsano of Sunburned Hand of the Man. As The Michael Flower Band he still captures a majestic presence that evokes the tripped out meanderings of subliminal drawn out drone, spliced with the cosmic leanings of psychedelia and space rock. Hailing from the north east of England, the sounds emitting from the Rejections camp could well be synonymous with the desolation and urban panic that many of this country's outposts harbour. Claustrophobic, dense and heavily mechanised drone sets the immediate tone with a supplementary jarring and doom riddled ambience. Yes, there are a few sedate moments, though these still manage to capture a brooding and ominous layer to the already burdened cake of organised madness and melee. Must Die Records, Colours May Vary and The Print Project will all being doing stalls at this gig.